New Gamcube titles doesn't grow on trees these days, in fact Nintendo's current generation console is almost completely abandoned, by both third party companies, and Nintendo them self. Therefore we're always glad when a new quality game launches for the Gamecube. 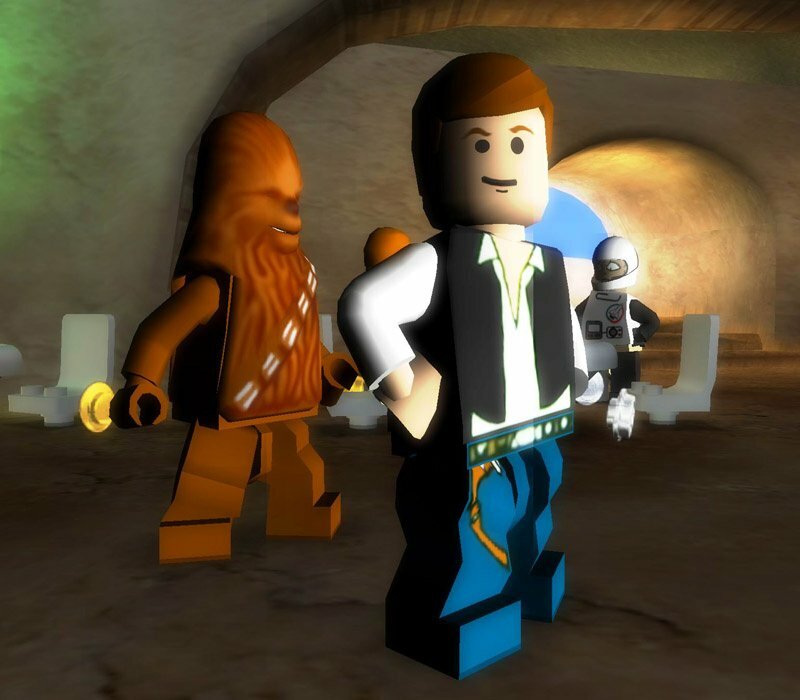 The original game, Lego Star Wars, was a smashing success when it was released back in 2005, and with it's charming and atmospheric Lego world it convinced both gamers and reviewers all over the world. LSW II tries to take this even further, with the same well-known universe and familiar gameplay. 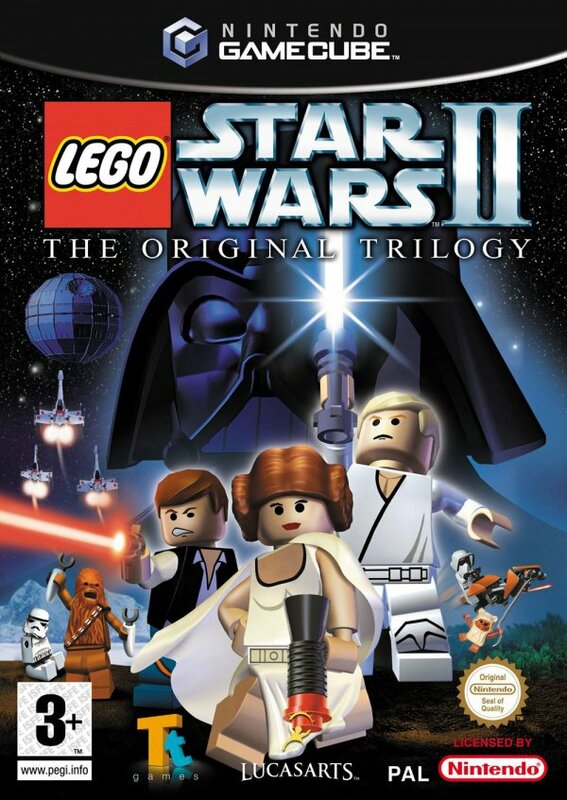 But frankly, the Sequel doesn't deliver anything innovative or new to the series, but it got the same solid gameplay. 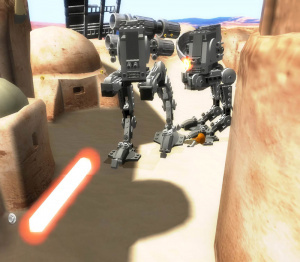 The game is based on the three original movies, therefore the title "Original Trilogy", and thus you'll get to play through many familiar and famous moments from George Lucas' extremely popular Science-Fiction movies. What makes this game unique and separates it from the movies though, is the extraordinary atmosphere, and the fact that everything in the game is made of Lego, including characters, building and vehicles. The gameplay is pretty straight forward, and most of the time you know what to do and where to go next, but thanks to some quite challenging puzzles it feels varied and diverse all throughout the game. To solve puzzles and battle foes, you have to swap between all the famous characters you get to play as, and they all have different advantages and weapons. One of the weapons you'll use most, is a laser gun, and in my opinion, the shooting is one of the weakest parts of the game. It's clumsy and hard to aim at your enemies, and it seems like as long as you point in the general direction of a foe you'll hit him, but it's hard to tell, as there is no sight display. While the puzzles can be rather hard sometimes, the game undoubtedly is pretty easy, and that's just emphasized by the fact that the only death penalty in the game, is that you loose some money, and you really don't need them to conquer the game anyway. So obviously this makes the game even more straight forward, as you don't have to think as much through what you do and what consequences it'll get. But I guess this can be explained by the fact that children is the game's main audience. The game features both Story Mode, which is the normal mode where you play through levels with small cut scenes and stuff like that, and once you've finished a level in story mode, you can play through it in freeplay, which is basically some sort of shoot em' up, and it gets rather boring after a while, but In addition to this, you have the coop mode, where you can play with your friends, unfortunately you can't play online though. The music and sound effects in the game are the same as the majestically and beautiful soundtrack of the movies, and obviously, this makes the world feel more like the one in the movies. 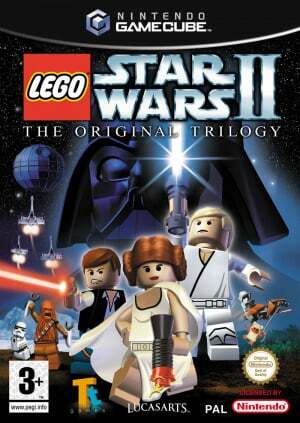 Lego Star Wars II: The Original Trilogy is a fun game with lots of humour and famous characters. The puzzles in the game can be quite hard, and require you to think and exploit the environment, but other than that the game can get a little linear and straight forward, and sometimes too easy, but if you enjoyed the original game, you will probably like this one too. 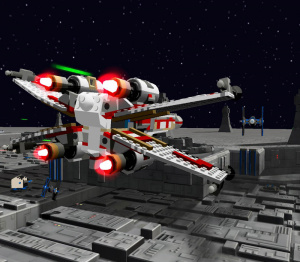 The atmosphere of the game is great, and it's amazing how everything is made out of Lego. Oh how I love this game. I have this game for the PC, it is very fun. It is quite challenging at times to figure out what to do though. It's disappointing to see a review that doesn't even touch upon the collect-a-thon aspect of the game considering it IS the main gameplay feature and the game's strongest point. Strip that aspect away, and you're left with a really barebones experience. I honestly don't get where the reviewer is coming from by comparing freeplay mode with a Shoot 'em up. It's simply a mode where you can use every character freely.